COASTAL hugging bolinger upper band go higher high & formed shooting star. 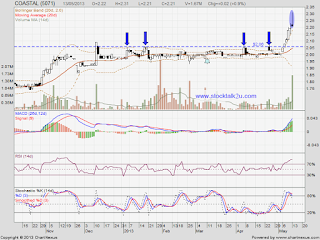 Immediate support @ RM2.16 level. 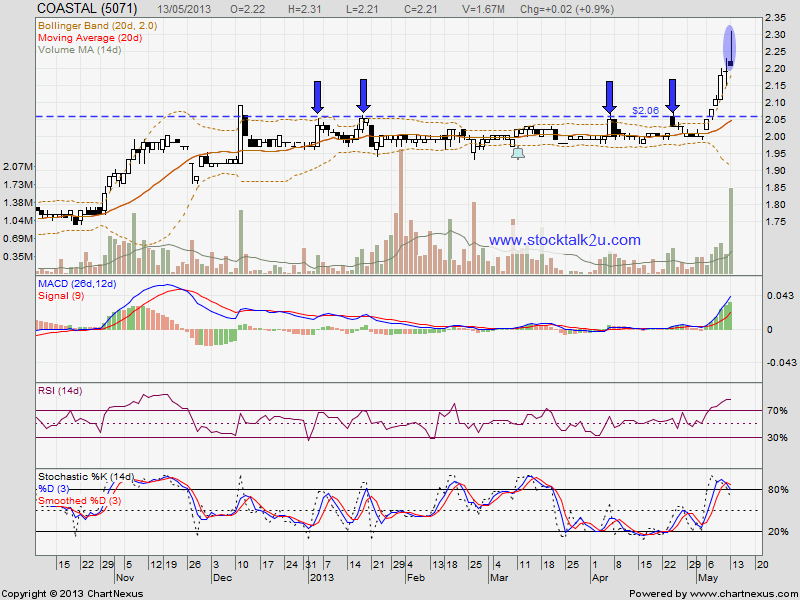 Subsequent support @ RM2.09 level. Due to overbought stage, high probably it will retrace down, retest support level. It's an entry opportunity after correction completed. I dont like read blogs. But when I found your post, I started to like it. I found it interesting and informative. Thank you for the effort in posting this kind of information.